This quarter, we would like to introduce three teachers who have been implementing classroom management strategies presented in CHAMPS and Discipline in the Secondary Classroom. The following articles from Tracy Wesson at CPS describe how each teacher has integrated positive behavior support strategies into their plans and the successes they have experienced. Luke Albrecht exhibits structure and consistency in his classroom management style. Most of his students can see the positive rewards of staying on track and following the daily routines as they strive for success. They are learning higher order thinking skills, such as analysis and evaluation, to help with problem-solving and understanding the consequences of their actions. Mr. Albrecht believes that having a class of students who are respectful and motivated to behave responsibly validates the time spent on teaching positive behavior expectations. 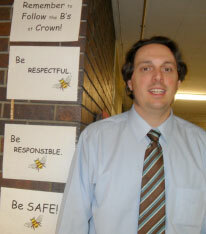 Mr. Albrecht relishes his work as a middle school math teacher for Crown Community Academy. He has been a teacher for 10 years and became a National Board Certified Teacher in 2007. Prior to attending the CHAMPS evidence-based approach to classroom behavior management training during the summer of 2011, he completed Second Step, Social Emotional Learning (SEL) training, and Positive Behavioral Interventions and Supports (PBIS) team training. One of the keys to his success is aligning the schoolwide expectations and his Guidelines for Success every day in his classroom. These brief phrases are posted outside the door of his classroom. They describe the attitudes, traits, and characteristics he has instilled in his students. Mr. Albrecht keeps the guidelines alive by using them frequently as a basis for providing both positive and corrective feedback to students about their behavior. �Positive interaction�it�s great! 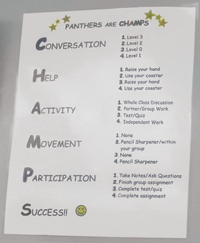 CHAMPS gave me some good ideas.� He makes it a point to say �Good Morning� to individual students and tries to compliment the students as often as possible. He likes to mention student names while teaching and distributes sticky notes with positive comments. Mr. Albrecht is using CHAMPS 3:1 ratio of positive interactions. He knows the behavior he reinforces with his attention is the behavior he expects to see in his students. "The school year started out so well. This was the best year of classroom management," said Hye Jin Choi, the sophomore geometry teacher at Kelvyn Park High School. Ms. Choi is in her fourth year as a teacher and plans to make next year even better. After attending the Discipline in the Secondary Classroom (DSC) training, she discovered that having a solid system of organization made classroom management successful for her. When it comes to classroom routines and procedures, Ms. Choi can�t say enough about their importance. A schedule of activities for each class period helps maximize instructional time and responsible behavior. She has a system in place for everything, from the warm-up exercises to the last five minutes of class. She even has a process to call on students for answers—Ms. Choi puts every student�s name on wooden craft sticks to make sure there is equity in the No Opt Out method. She says the students who are normally quiet still have an opportunity to speak. All the students know what to do—they are trained to the protocol. Kelvyn Park High School has made a strong commitment to DSC by providing teacher training on campus and revisiting the positive behavior concepts throughout the year. Ms. Choi enjoys the benefits and support of her instructional coach, who provides articles, new strategies, advice, and feedback on instruction and classroom management skills. Ms. Choi says she is always open to try new things such as increasing her positive to negative student interactions, something her coach suggested after a classroom observation. The coach is referring to DSC�s 3:1 ratio of positive interactions, one of the behavior management strategies emphasized during DSC training. Teachers interact with every student more frequently (at least three times more frequently) when the student is behaving appropriately than when he or she is behaving inappropriately. 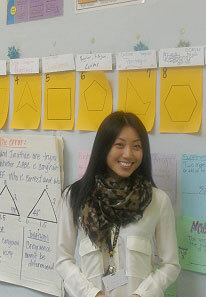 Ms. Choi works closely with other teachers at Kelvyn Park who are using the DSC approach for classroom management. They recently completed professional development on rules and expectations and using the CHAMPS approach. Choi created her CHAMPS poster to clarify every major classroom activity and transition for her geometry students. "Setting that high structure has made a huge difference!" One year at Burnham Anthony School and Chantell Windham has found her niche in classroom management. As a new teacher, Ms. Windham enjoys her class of 34 fourth grade students. 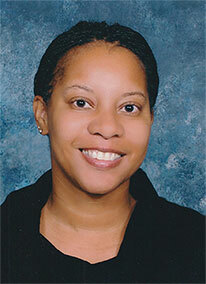 After working in Information Technology for 10 years, she had to learn new skills to be successful in the classroom. 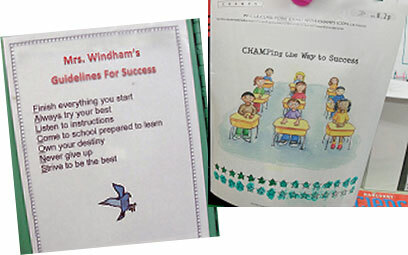 Ms. Windham attended the CHAMPS training last summer and learned how to enhance her classroom structure using many of the management strategies and the resources from the CHAMPS CD. Adapting to the various learning and emotional needs didn�t come automatically. Ms. Windham also uses the Second Step Social Emotional Learning (SEL) training to help students strengthen their empathy, emotion management, and problem-solving skills. We all know that classroom management is an easier task with children who are socially and emotionally competent. Organizing everything in her CHAMPS Binder and keeping up with the reproducible forms on the CD: "The disc is beyond fabulous. I love it!" Having students help with stating the expectations for group work, transitions, etc. Support from administration is another component to managing a class of 34 fourth grade students. Ms. Windham says she was lucky to find a school where the principal, Dr. Moore, and assistant principal, Ms. Freeman, give the teachers what they ask for. They are instrumental in supporting CHAMPS and its alignment with schoolwide expectations. "As a matter of fact, Ms. Freeman could write her own book on classroom management because she has a system and structure for everything!" The staff at Burnham Anthony work hard to reinforce positive behavior. Schoolwide expectations and Voice Level posters, which support the work of effective classroom management, are consistent throughout the school.